Designed and engineered for the Tire Industry, our Preset Wrenches fully comply with the ISO and ASME standards and will retain calibration accuracy for thousands of cycles. The “5PC” series of preset click-type wrenches are intended for single torque setting applications. 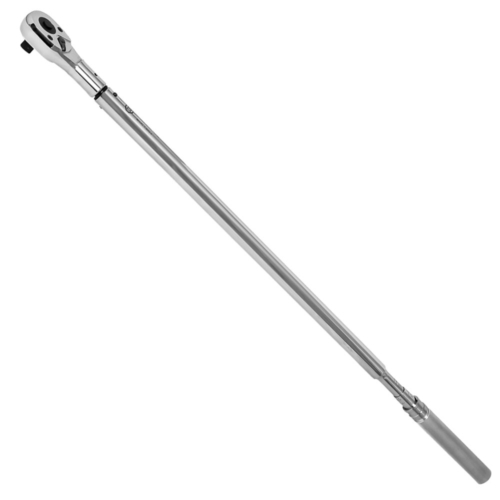 Its simple design provides easy and accurate application of torque. These preset wrenches are ready for use – no torque adjustment required or special training needed to use the tools. Our set of five, 1/2” square drive preset wrenches have been designed specifically for use in tire industry. 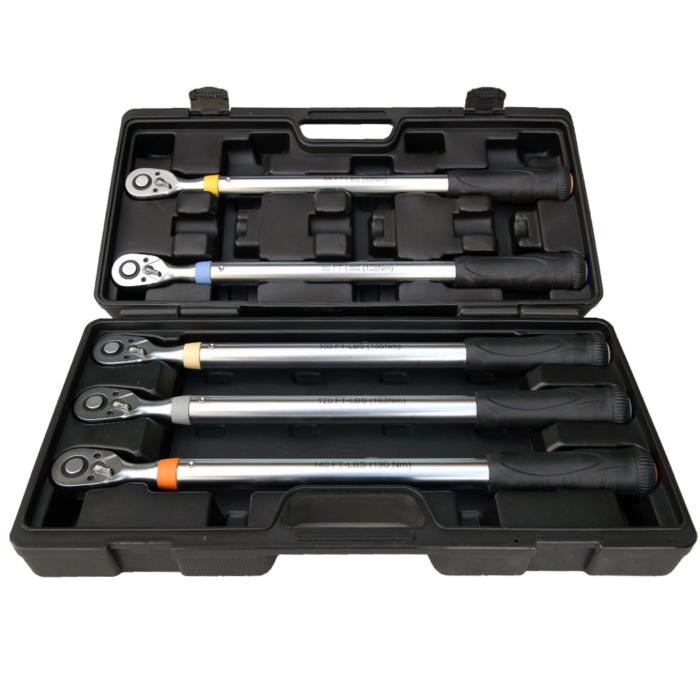 These wrenches are supplied in a durable storage case and preset to the five most-common lug nut torque settings covering 90% of the Car and Light Truck requirements. The Torque values are between 65 to 140 ft-lb and they are laser etched and color-coded for quick and easy identification. 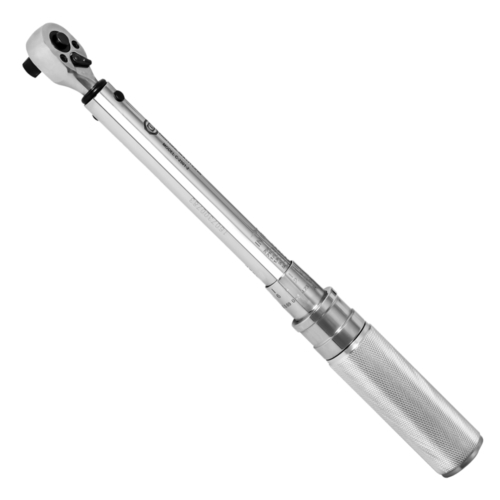 Our Preset torque wrenches are also available individually and can also be custom Preset as a special if requested. Perfect for tire shops, these color coded click torque wrenches are pre-set to the most common lug nut torque settings. The Industrial Grade design can hold up to the toughest tire shop demands.